Post the attack on Pulwama, which claimed the lives of 45 CRPF men there has been a big debate over India vs Pakistan match that is scheduled to happen on June 16, 2019, in Manchester during the ICC Cricket World Cup. Player’s like Harbhajan Singh has suggested that India should snub all sporting ties with Pakistan. Amidst all this, the International Shooting Sports Federation 2019 is all set to kick-start on February 23 in India. Naturally, the tournament would witness the participation of Pakistani players too. Post, Pulwama attack there was a piece of news that floated around that the players from the neighbouring country would not have a problem in getting a visa to India. But that’s not the case anymore. As per the latest reports, a couple of players from Pakistan were supposed to participate in the tournament and were supposed to fly to New Delhi on February 20 before the tournament kicks off on February 23. The NRAI (National Rifle Association of India) said that the visas were approved. Nonetheless, the National Rifle Association of Pakistan body said that they would not be able to send their players as visas were delayed. Harbhajan Singh Wants India to Snub 2019 ICC Cricket World Cup Tie Against Pakistan on June 16. “We (NRAI) got a confirmation from the Indian High Commission (Islamabad) that the visas have been granted to the said Pakistani shooters. The National Rifle Association of Pakistan (NRAP), through an email, have acknowledged this in the afternoon that they have got confirmation of getting the visas from the Indian High Commission there," Rajiv Bhatia, secretary general, the NRAI said on the matter. On the other hand, Javaid S Lodhi, NRAP's executive vice-president said that the visas of the team members were still in process and will only be issued to them by February 19. The flights for India were booked for February 20th and now it wouldn’t be possible to send the players to India. According to NRAP President, all the necessary documents were sent to the Indian High Commission on December 16th itself. The Home Ministry of India also sanctioned the No Objection Certificate for the players to carry the ammunition too for the championship. 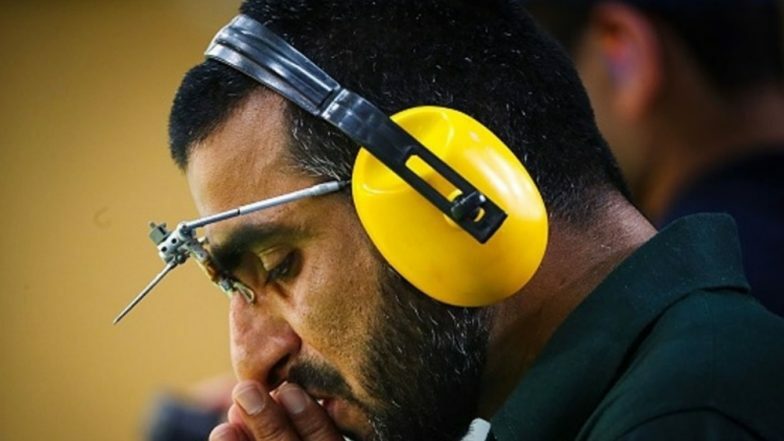 The NRAP has now communicated to the Rifle Association in India and International Sport Shooting Federation highlighting the fact how Pakistan was missing out on the tournament as this could also affect their Olympic qualification.